After two feet of snow in less than a week, I am trying to keep that sentiment in my heart. 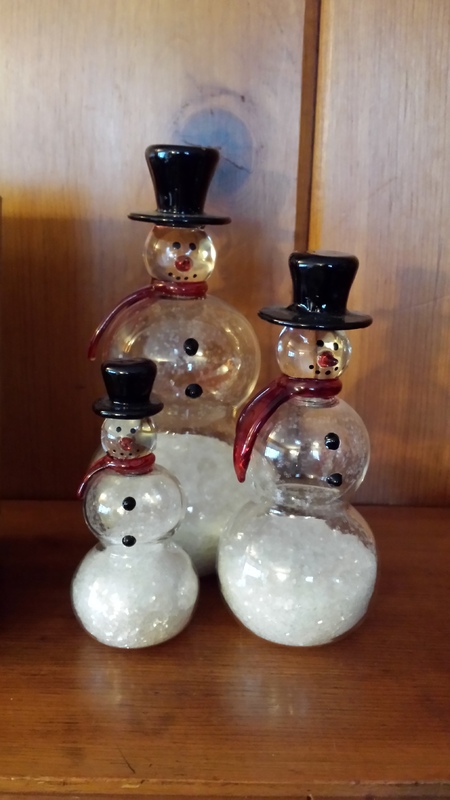 One of the things I always do in the winter is decorate with snow “men.” It helps fill the void left when I take down the Christmas decorations and it’s a nice way to get through a bleak time of year. In particularly snowy winters however, I’m not always happy to see them! This pair was actually sent to me by my best friend when she was living in Hawaii! 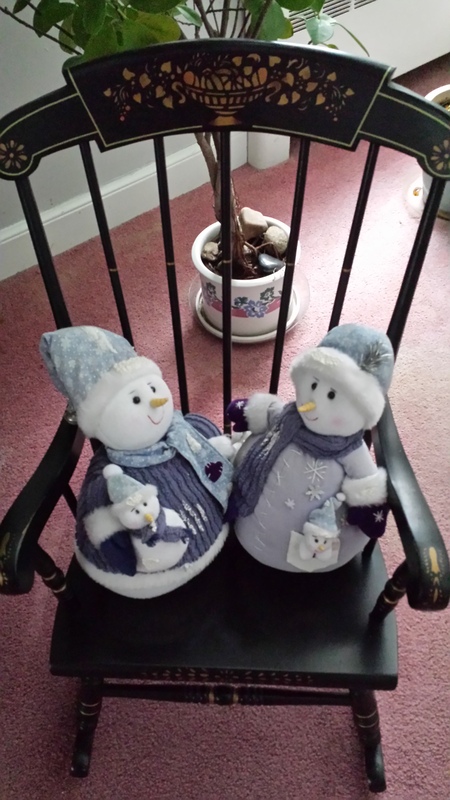 They stay in this child’s rocker–it was mine–all year round. I got these snow globe type snow folk at the garden center where I worked. I love them. 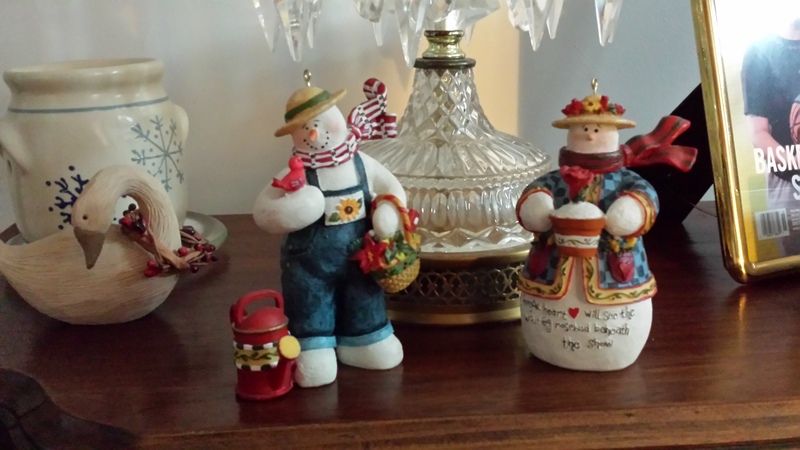 These candles are a recent addition and they fit perfectly with my winter decor. They were a gift from a work colleague. They’re very clever. 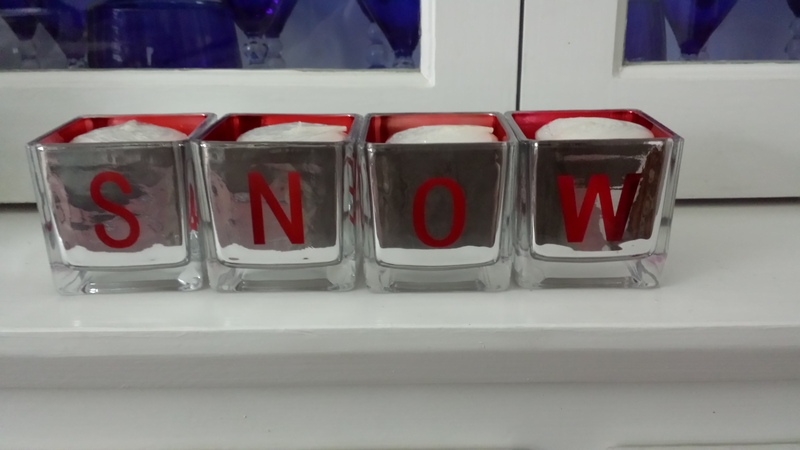 They can be reversed to spell “Joy” and “Noel.” When they spell “Joy” the 4th candle holder has a snowflake emblem. Very pretty and clever. 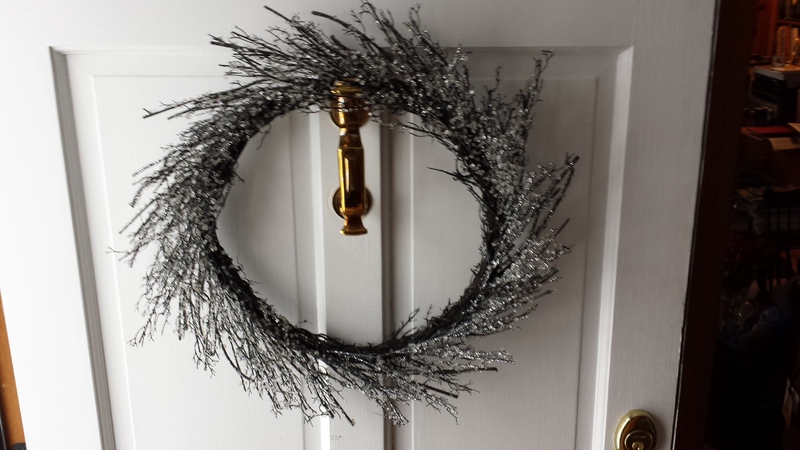 Even my door wears an icy wreath this time of year. I wasn’t really thinking about it but the wreath matches my steps! Previous Article And Still More About Seed Starting!